Not familiar with the all-new Lincoln Nautilus? 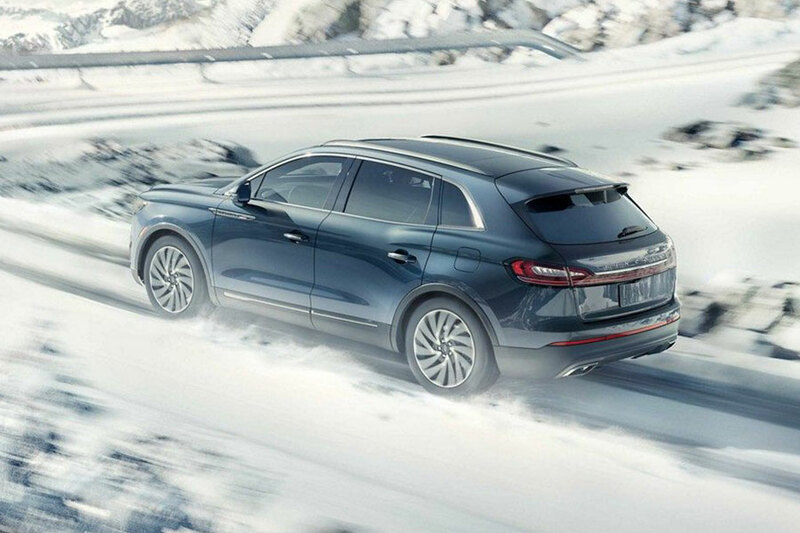 Look closer and you might see that this luxury midsize SUV the latest incarnation of the defunct Lincoln MKX. But the MKX didn't just receive a new-and undeniably cool-name. The Nautilus is a marked improvement over the MKX in many ways. We'll explore what's new and what's cool in the all-new-but-familiar Nautilus in this article. The most noticeable change to the former MKX model is its appearance. The Nautilus's namesake is a marine animal with perfect, even mathematically-precise symmetry. That's definitely captured in the Lincoln Nautilus. The Nautilus now sports the same grille as its bigger Lincoln brothers. The whole front has a new look with redone headlamps (and available full-LED adaptive lighting), new hood, and redesigned front fenders. The rear lighting and lower bumper also have been improved, and turbine-style wheels that seem to whirr like a biplane propeller and similar to those on the Lincoln Navigator, are now available. The SUV-formerly-known-as-MKX has ousted its old base engine in favor of the new turbocharged 2.0-liter inline-four engine. With better torque and a new eight-speed automatic transmission, this is a marked improvement with smoother acceleration and less noise. With the the base engine, you get 21 city and 25 highway miles per gallon, which is also an improvement over the Nautilus's predecessor and above-average for the class. The better engine option is a 2.7-liter V6, spinning out 335 horsepower and 380 pound-feet of torque. You'll notice a difference, going zero to 60 in just 5.9 seconds, which is no small feat moving a midsize SUV's mass of metal. Either engine you get, it's still paired with that eight-speed automatic transmission. All-wheel drive is available with either engine as well for an extra $2500. 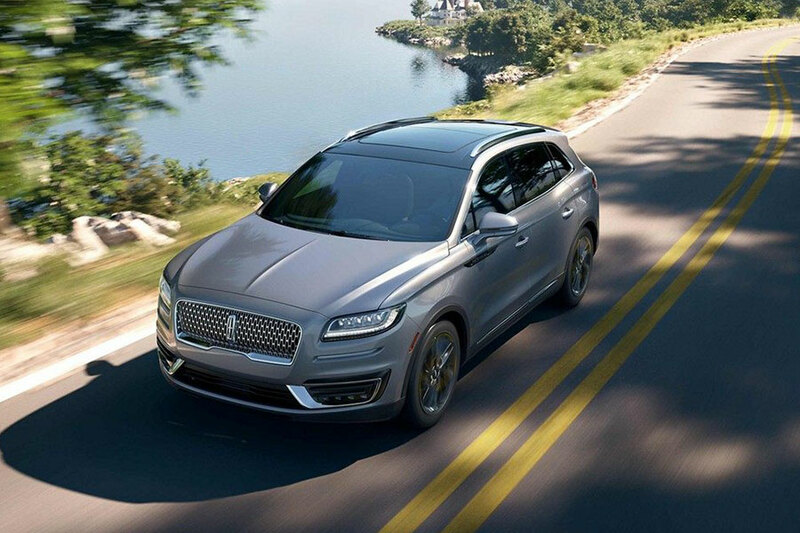 Moving into the cabin, you'll find the same spacious seats and ample leg room you knew from the Lincoln MKX. The most noticeable novelty is the digital gauge cluster measuring at 12.3 inches. There's a second display, a touchscreen that measures 8 inches. It's loaded with the SYNC3 infotainment system and Apple CarPlay and Android Auto for smartphone integration. SYNC3 is notable for its intuitive and fast interface, one of the best in its class. There's also a standard 10-speaker audio system, satellite radio, Bluetooth, Wi-Fi hot spot, and two USB ports. You can opt to get a rear entertainment system, navigation, and wireless device charging. 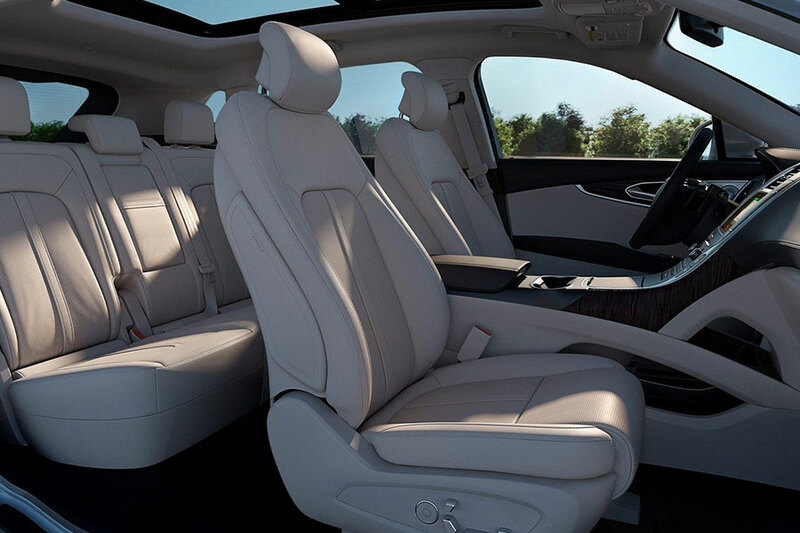 Handsome leather seats are easy on the eyes and on your body. You might find yourself taking the long way home. The interior comes in an assortment of colors beyond gray and beige. Our favorite scheme was Gala, with deep maroon leather seating with black accents and aluminum trim. Inside and out, the Lincoln Nautilus is a beautiful vehicle and one well worth your attention.